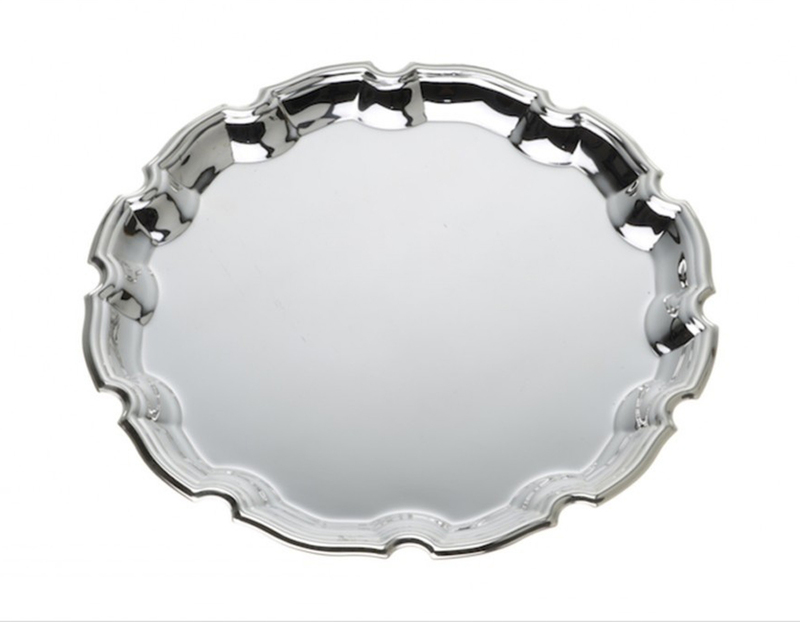 Successfully added 18″ Oval Mounted Gallery Tray with Handles to your basket! 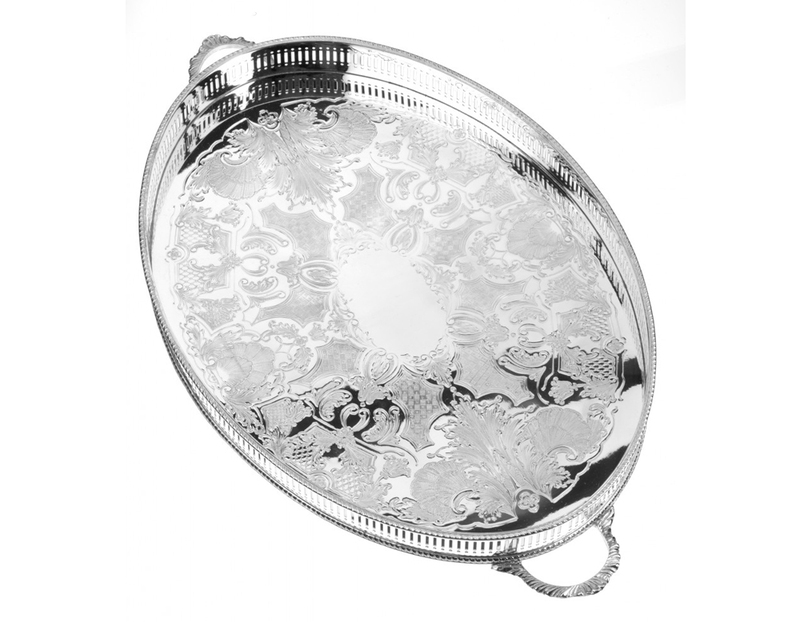 Still totally handmade today, this silver plated 18" Oval Mounted Gallery Tray with Handles is a piece of master craftsmanship. 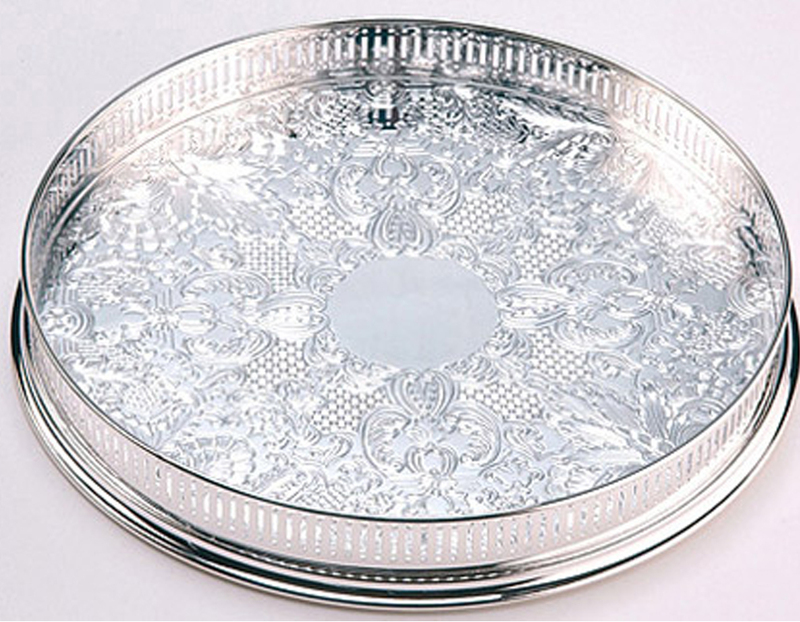 Wonderfully detailed, the Tray has pierced sides and a classic pattern that also reduces scratching and stops items on the tray from slipping when being carried. Presented in an Arthur Price of England gift box.